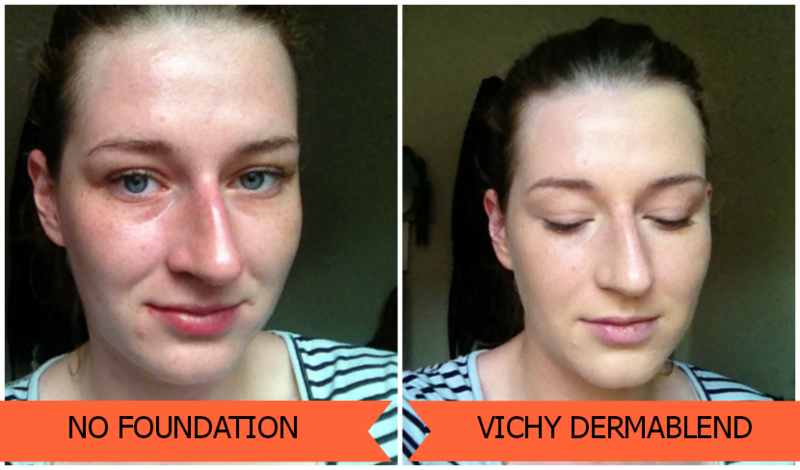 Vichy are certainly not the first brand that spring to mind when I think of drugstore foundations. They're not as glamorous as L'Oreal or Bourjois and they don't have their own stands like Collection or Maybelline. 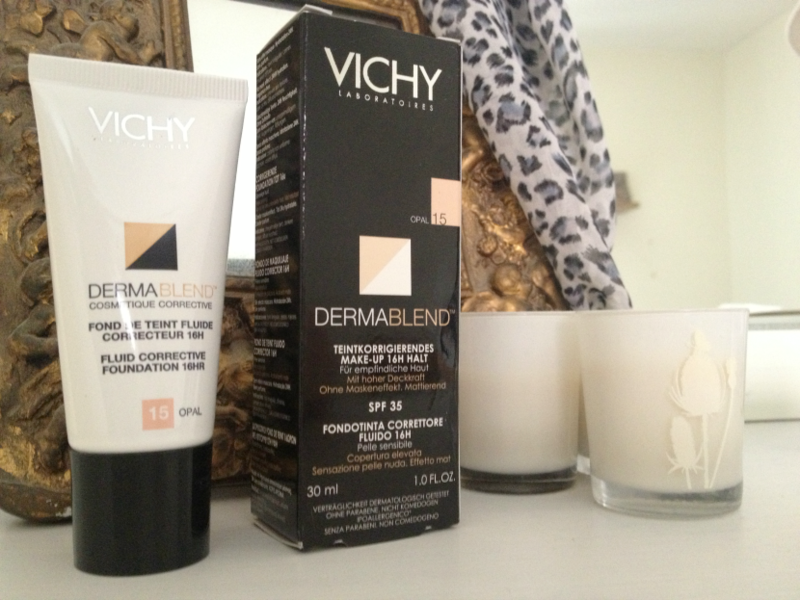 Instead, Vichy products are quietly tucked away within the calm envelope of the skin care section. After looking for a foundation with a fuller coverage than the ones I'm used to using, specifically for my when my skin is looking more blemished than clear, I asked for recommendations on Twitter, did my research on blog reviews and asked friends what they thought. Vichy seemed the resounding answer. Whilst it's not winning any innovative packaging awards and certainly doesn't bring anything new to the table in terms of formula, ingredients or texture (although the added SPF35 triumphs where other foundations may flounder slightly) it does do exactly what it promises to. It's scentless and fine for sensitive skin types to use. It's a medium-full coverage liquid foundation with a matte finish that I've found is best applied with a brush. It is buildable if you layer up coats but it gives a very 'blank canvas' look to the skin if you do this so make sure to add some warmth and highlight back into your face with other products. It sets on the skin fairly swiftly which makes it difficult to work with if you aren't quick. Regardless of that one application 'flaw' it applies easily, covers blemishes brilliantly (although some larger blemishes may still require a touch of concealer, especially if they're aggressively red) and doesn't cling to dry patches very much if you exfoliate properly in your skincare routine. I did find that I needed a primer to stop creasing as without primer it settled into creases very easily - especially in smile lines around the mouth. Opal is a good shade match for me personally and there are a lot of shades available which cater for all skin tones. If you're unsure which shade to go for then I would recommend having a look at findation.com. It's a website that tells you which shade you would be in various different foundations if you know the shade you are in one you've tried previously. The more shades you tell the site you like/match you best the better the colour matches are for other brands. 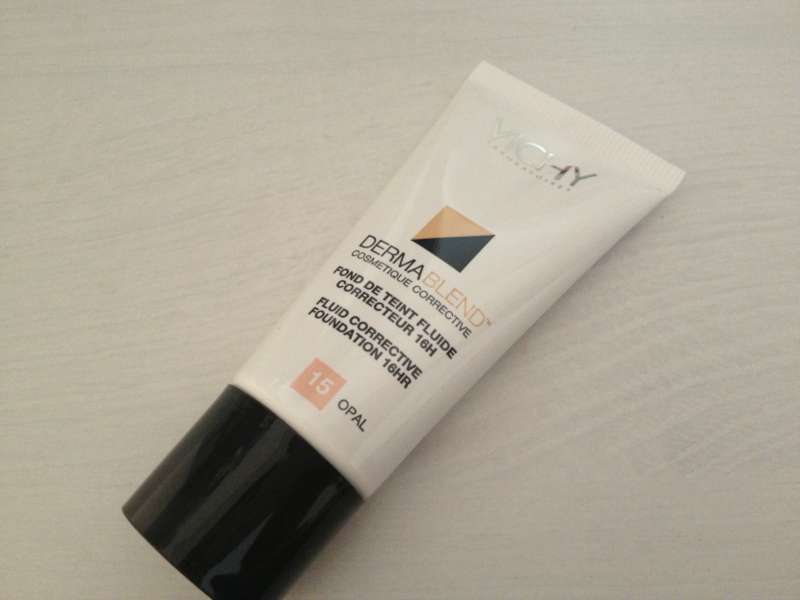 Whilst the site is mostly programmed with higher end foundations at the moment there are some drugstore brands sneaking in there as well so if you're not sure which shade to pick up this could be a great tool to help you out. 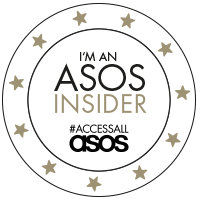 It wears really well without looking cakey and it doesn't develop any patchiness either. It's gives a flawless finish on clear skin and really helps to cover imperfections and blemishes on more troubled skin type. If you want a no frills foundation that gives great coverage then this is definitely one to look at more closely in the future. I wouldn't recommend it for anyone that likes dewy finishes because it really is quite matte and I don't think I could put it on my face during summer because it would definitely be too heavy but for autumn and winter it's perfect. 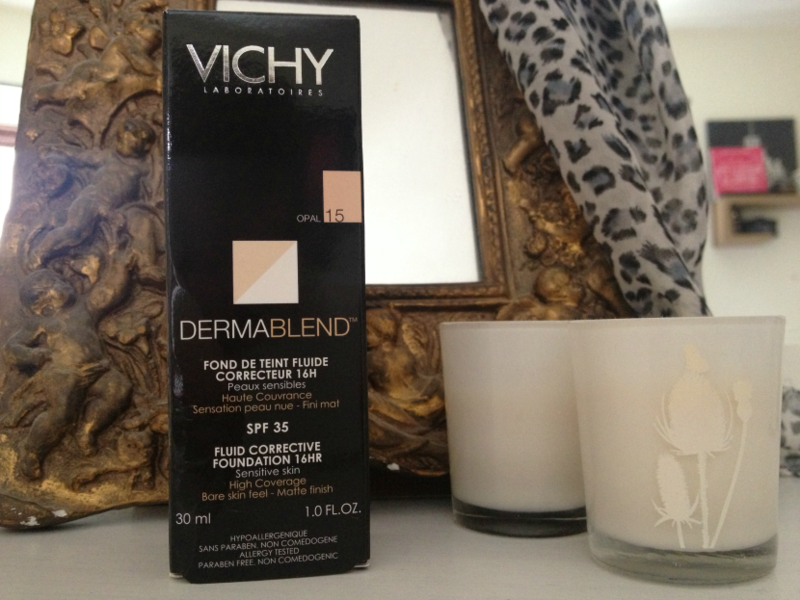 Vichy Dermablend Fluid Corrective Foundation 16hr SPF35 (RRP £15.50) is available at larger Boots stores across the UK and Boots online. For more information visit the Vichy website. You can follow Vichy on Twitter, Facebook and YouTube for news, product information and tutorials on how to use the products available from the brand. all I hear are good reviews. Seems like this one's a keeper.